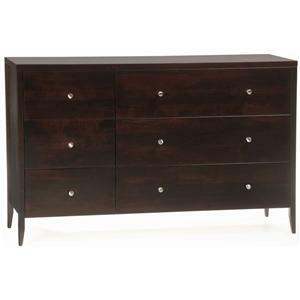 Special Order Approximately 8-10 weeks if at stock at manufacturer's warehouse. Call store for details 618-233-0667. 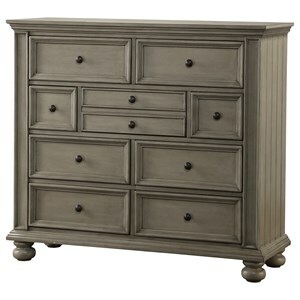 Provide your bedroom with ample storage space by adding this drawer dresser to your decor. 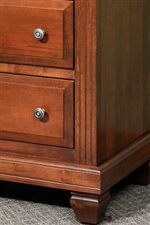 The piece consists of brown maple wood with a warm Boston finish as well as silver-polished, round knobs, which provide a beautiful contrast. In addition, the fluted columns, roped trimming and crowned tops. 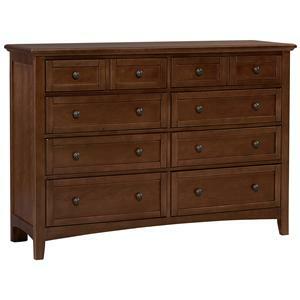 Plus, the eight drawers are great for keeping sweaters, jeans, blankets, towels and undergarments. 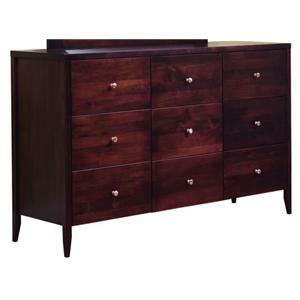 The Northbrook Dresser w/ 8 Drawers by Canal Dover Furniture at Mueller Furniture in the Lake St. Louis, Wentzville, O'Fallon, MO, St.Charles, St.Louis Area, MO Furniture Store and Belleville, Shiloh, O'Fallon,IL area. Product availability may vary. Contact us for the most current availability on this product. 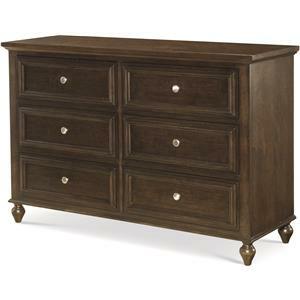 Create a warm and welcoming setting in your bedroom with help from the Northbrook collection. 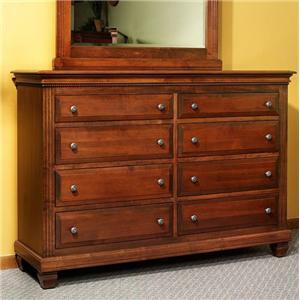 The pieces consist of brown maple wood with a warm Boston finish as well as silver-polished, round knobs, which provide a beautiful contrast. In addition, the fluted columns, roped trimming and crowned tops also add thoughtful detailing. Plus, the multiple storage options are great for keeping sweaters, jeans, blankets, books, jewelry, towels and undergarments. 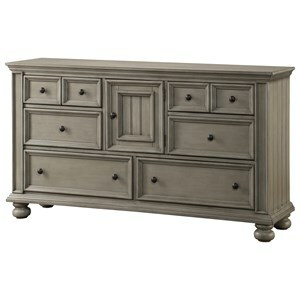 You can have an ideal sanctuary to leave the day's troubles behind you with this Northbrook collection. 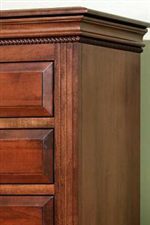 The Northbrook collection is a great option if you are looking for Casual furniture in the Lake St. Louis, Wentzville, O'Fallon, MO, St.Charles, St.Louis Area, MO Furniture Store and Belleville, Shiloh, O'Fallon,IL area. 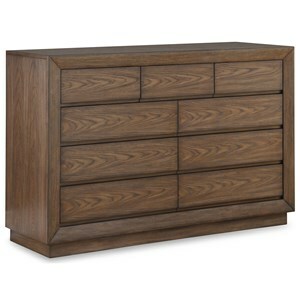 Browse other items in the Northbrook collection from Mueller Furniture in the Lake St. Louis, Wentzville, O'Fallon, MO, St.Charles, St.Louis Area, MO Furniture Store and Belleville, Shiloh, O'Fallon,IL area.